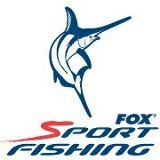 Fox Sport Fishing manufactures some very innovative fishing products. With their Trek Travel Rods, Fox has introduced a full series of high quality travel rods ranging from inshore spinning rods to offshore trolling rods! They even have travel stand up rods! Fox has also raised the technology bar by adding a two-speed to a spinning reel. Fox Sport Fishing is all about making high quality fishing products and it shows. Buy a Fox fishing rod or reel today!